Gold Charm Bracelet with two charms. 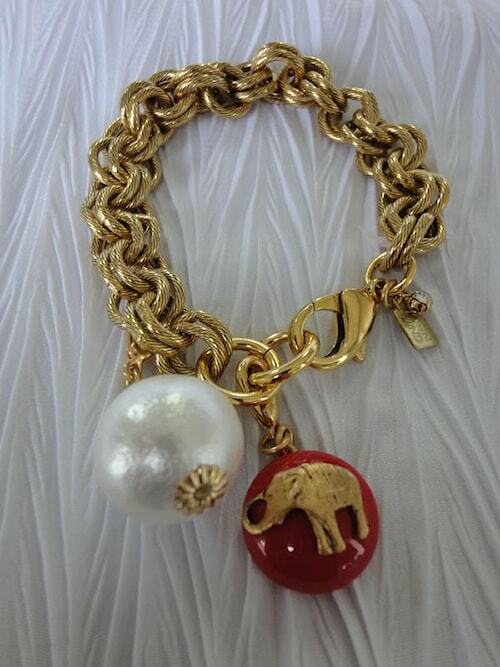 Gold elephant on a red cabochon enhancer and cotton ball pearl enhancer. Charms can be removed and added to your liking. Maximal Art. Designed by John Wind, New York designer. Also available in Silver bracelet with silver charms.